Jewish Renaissance in Poland, fuelled by a new unexpected generation of young Poles intent on discovering their Jewish roots. Over the past decade Poland has been experiencing what many are calling a Jewish Renaissance - fuelled by a new unexpected generation of young Poles intent on discovering their Jewish roots. Nowhere is this more evident in Kazimierz, Krakow's old Jewish Quarter. This once derelict neighbourhood is now home to one of Europe's most vibrant and trendiest cafe and bar scenes. Restaurants boasting "kosher" menus and with their names spelt out in Hebrew lettering are filled with both tourists and locals. And every summer tens of thousands more come for the city's annual festival of Jewish music, theatre and film. But what role, if any, has the Jewish faith played in this revival? Krakow's Jewish Community Centre (JCC) was opened in 2008 and offers a popular mix of Hebrew and Yiddish language lessons and introductory religious courses as well as yoga, a choir and even a social club for 30-somethings to the local community - both Jews and Gentiles alike. Jonathan Ornstein, the centre's director, encourages this mix. He believes that since the fall of communism in the 1990s, Poles have become more open and ready to embrace cultural and religious difference. Rabbi Avi Baumol tells Heart and Soul a similar story. 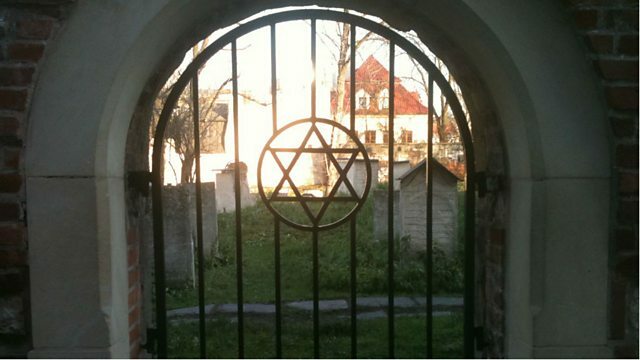 Since he arrived in Krakow he has met dozens of people who only recently discovered they had Jewish ancestry. Many of those have come to him and to the JCC in the hope of finding a sense of identity and of community. For those like Swavek and Isa practising their Jewish faith has played a crucial role in their journey. Others, like Ishbel, after experimenting with orthodoxy, decide to adopt a more secular lifestyle while still very much considering themselves Jewish. As Anna McNamee discovers as she travels to Poland, regardless of their optimism there remains a question of how sustainable the Jewish Renaissance will be. Jewish life was all but extinguished by the Nazis during World War Two. What remained was driven underground under communism. In 2011, only 7,508 Poles identified themselves as Jews. And, last November, Poland's Independence Day was marked by far-right demonstrations in both Warsaw and Krakow - an uncomfortable reminder for many of Poland's turbulent past. Can the enthusiasm and energy of young Poles ensure that the Jewish Renaissance is more than just a historical blip?